What can you say about Champion spark plugs that has not already been said? They are great products. The plug I received is marked 863 on the box, but the plug itself is marked RCJ8Y, which is what I ordered. Exact replacement for the old plug. Item worked as it should. Had to wait a long time for delivery. Original Champion RCJ8Y plugs, perfect fit, recommended for Kawasaki FH580, excellent price, I saw these as high as $10 each at other dealers. JSE has been 100% in my book. Jack's web site is easy to use and they help you find equivalent replacement or substitute parts. Very easy to do business with. 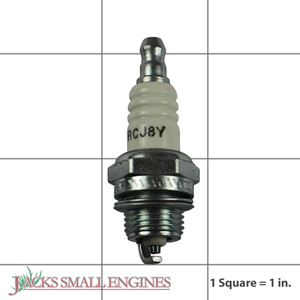 Ask us about the Champion RCJ8Y 863 Spark Plug. Please no repair questions. Your Q&A may be posted to Jackssmallengines.com to help other shoppers, like you, with their purchasing decisions. Thank you.